“Dogs are people, too” seems to be a core belief at Farm Dog Naturals, a company dedicated to creating ethically sourced, herbal remedies for dogs. Our four-legged friends often find themselves in a bit of trouble, needing special care to cure their wounds, infections, hot spots or runny noses. Farm Dog Naturals was formed to give pet parents a holistic alternative to antibiotics, steroids and other chemical remedies. As a part of Nashville’s dog rescue community and an herb-enthusiast, Hogan wanted to treat rescue pugs with holistic medicine. She created the first two products, Restore and Salvation. 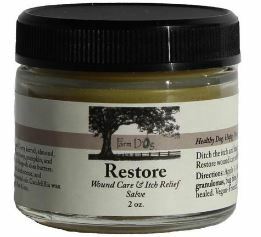 Restore is an itch relief and wound care salve. Salvation is used to heal crusty dog noses, dry paws and topical inflammations. Both are made with ingredients you can pronounce and find in nature. Higgins, owner of a holistic dog food store, agreed to sell these products in her shop and together they formed Farm Dog Naturals. Farm Dog Naturals only uses ingredients that are ethically sourced, organic when possible, non-GMO, vegan and cruelty-free. Its products combat everyday problems such as itching, scratching, dry nose, cracked paws, hot spots, missing fur, stress, anxiety, stains, urine and odors. 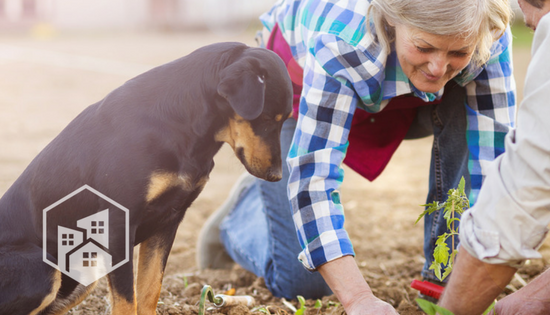 One of the goals of Farm Dog Naturals is to promote environmentally safe and sustainable practices. It is a green-certified company through GreenAmerica.org and B Corporation. It sources ingredients from Fair Trade and eco-friendly companies. Not only does it strive to make the planet a little greener, it gives back to different animal rescue and environmental groups. Every three months it chooses a new organization to receive a percentage of profits from wholesale and retail sales. The products at Farm Dog Naturals are nothing less than inspired with names like Rejoice, Relief, Restore and Salvation. These products might just become your saving grace when your pup needs a healing touch. If you are wondering how you can get your paws on these all-natural products, check out its website at farmdognaturals.com. You can also find a list of stores that sell its products or buy wholesale right from the site.